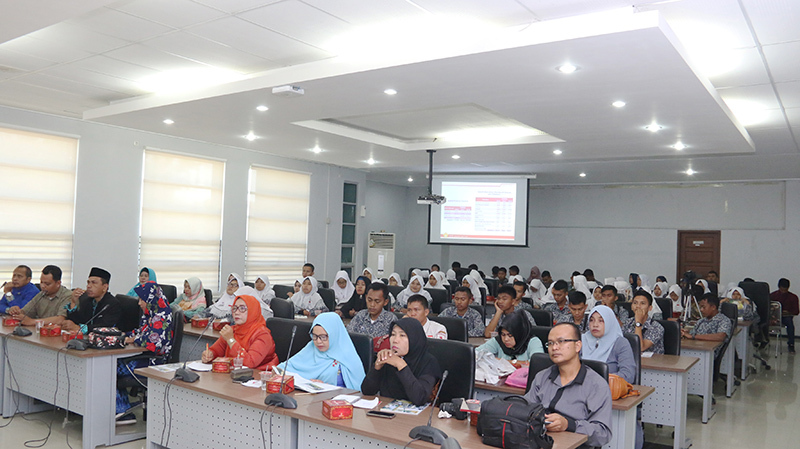 A total of 70 students and 20 teachers from SMA 2 Lubuk Pakam, North Sumatra visited Syiah Kuala University to learn more about this campus. 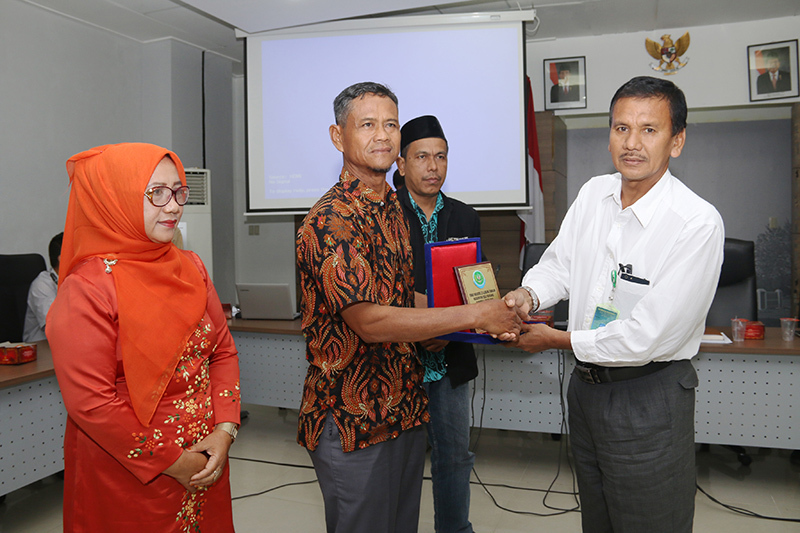 The group was led by Assistant Principal for Student Affairs of SMA 2 Lubuk Pakam, Sakino, S.Pd and was welcomed by Deputy Rector I Unsyiah Prof. Dr. Marwan at the Unsyiah Senate Hall. (Monday, 2/4). In his speech, Marwan said, Unsyiah felt very honored for this visit. Because the attendees were high school students who would soon going to college. They are the golden generation of Indonesia who will become great leaders in this country. In front of the students, Marwan explained the history of Unsyiah, the learning process and what achievements this campus has achieved. In the learning process, said Marwan, Unsyiah emphasized on character building for students. Where each Unsyiah student is required to join the Islamic Education (UP3AI) Companion Program. Through this program Unsyiah students who are Muslims are taught to read the Qur’an well and correctly, and other Islamic knowledge. While for non-Muslims, their religious studies are left to their respective religious leaders. "Every Unsyiah student must be able to read Qur’an, at least Iqra 6. After they graduate, they can take religious courses," said Marwan. Sakino said, a visit like this is an annual agenda from SMA 2 Lubuk Pakam whose purpose is to introduce students to the world of higher education. Currently SMA 2 Lubuk Pakam has won many achievements both locally and nationally. Even this school has received an award from Vice President Jusuf Kalla. SMA 2 Lubuk Pakam has 993 students. Where 50% are non-Muslims. Similarly, the teachers consist of Muslims and non-Muslims. Therefore, according to Sakino, the management of the school is not the same as the school in Aceh. On this occasion, Sakino also expressed his gratitude for Unsyiah's welcome. He hopes that after this visit there will be students in his school who are interested in continuing their education at Unsyiah. In addition, Sakino also hopes that Unsyiah can maintain the achievements she has achieved and become a barometer of education in Indonesia. Also attending the event were the Head of Unsyiah Academic Bureau Rahmat Lubis, S.E., Head of the Planning and Student Relations Bureau (BPHM) Unsyiah Abdul Rochim, S.Sos., M.Pd., Head of the Unsyiah Student Affairs Bureau Drs. M. Nasir Ibrahim, Secretary of LP3M Unsyiah Dr. Ir. Suhendrayatna, M. Eng. and Head of Public Relations Unsyiah Husni Friady, S.T., M.M.